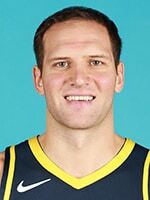 The Pacers have won three straight games in dramatic fashion, with different players taking starring roles in each victory. Will that magic continue on Monday, when James Harden and the Houston Rockets come to town? Indiana (7-3) enters the matchup with all sorts of confidence, particularly after Saturday's win over a Boston Celtics team picked by many to win the Eastern Conference. 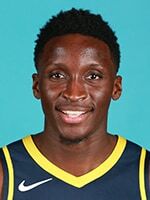 All-Star guard Victor Oladipo was the hero on Saturday, scoring 10 of the Pacers' final 13 points, including the game-winning 3-pointer with 3.4 seconds remaining. But he wasn't done there. 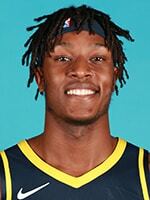 Oladipo also stole Gordon Hayward's pass on the final possession of the game to seal the win, bumped chests with Myles Turner, did his trademark "This is my city" point to the crowd, and even held a fan's baby for a picture in the tunnel to the locker room. Always the showman. Next up for Oladipo is a showdown with Harden, the reigning NBA MVP. 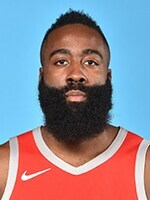 Harden missed three games last week due to a hamstring injury, but returned in Houston's 96-88 victory over Chicago on Saturday, registering 25 points, seven assists, and four steals in 33 minutes. The Rockets won an NBA-best 65 games a year ago, but have sputtered out of the gates this season. 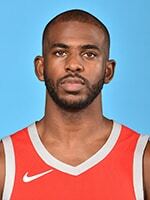 Saturday's victory improved their record to just 3-5, though the injury to Harden and a two-game suspension to point guard Chris Paul have contributed to that slow start. Still, a Houston team with a healthy Harden is capable of making even the league's best defenses look silly. The Pacers know they face a stiff test on Monday if they want to pick up a fourth straight win. 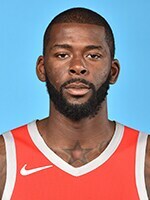 November 29, 2017: The Rockets made 14 of their 18 3-pointers after halftime in 118-97 win over the Pacers in Houston, sweeping the season series with Indiana. 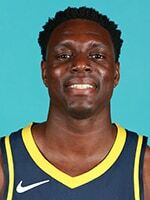 "They put a lot of pressure on your defense to have to contain the paint, keep them in front of you, and get out to the 3-point line," Pacers head coach Nate McMillan said after the loss. "They hit some shots in the second half — a lot of them, I thought we were right there. Sometimes you just have to give teams credit." 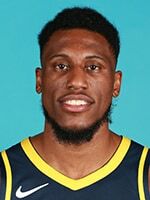 Thaddeus Young led Indiana with 23 points on 11-of-15 shooting in the loss, while Victor Oladipo added 19 points, five rebounds, and five steals. James Harden flirted with a triple-double for Houston, finishing with 29 points, eight rebounds, and 10 assists. 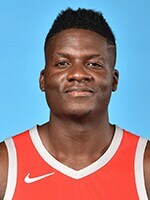 Clint Capela added 22 points on 10-of-15 shooting and 13 rebounds in the win. The Rockets swept the season series with the Pacers last year. Indiana had won three straight meetings with Houston prior to last season. 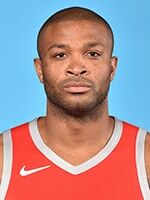 Houston holds a 54-37 advantage in the all-time series with the Pacers. Rockets guard Gerald Green was a member of the 2012-13 Pacers team that reached the Eastern Conference Finals. Pacers head coach Nate McMillan and Rockets head coach Mike D'Antoni worked together as assistant coaches for the USA Basketball men's national team under Mike Krzyzewski.